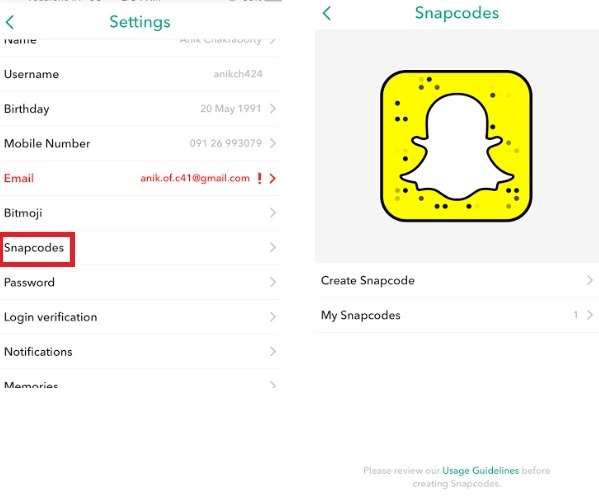 How to Create a Snapcode for A Website in Snapchat for iOS? Home > Social Media > How to Create a Snapcode for A Website in Snapchat for iOS? Snapchat is the most popular photo sharing application that enables you talk with your friends, share Live stories with your friends via snaps. Snapchat has garnered enough appreciation owing to its multifaceted fun features and versatility. Snapchat has a feature called Snapcode. Snapcode is analogous to Quick Response or QR Code. Snapcode helps users to follow other users quickly without much fuss. The concept is mainly for advertising and branding purpose. This feature, however, has been copied without shame by competing messaging apps. Snapchat has now expanded the feature to allow users to create Snapcodes for websites. Users can enter any URL they want to point the code to and add an image to it. It will be branded with the Snapchat ghost. Here’s how you can create a Snapcode for a website in Snapchat. 1. So first, open Snapchat and tap on the ghost icon of Snapchat at the top left. 2. The account screen appears and tap on the cog wheel button at the top right. Next, go to Snapchat’s settings. 3. Scroll down the screen to find ‘Snapcodes’. Tap on it. Next, click on ‘Create Snapcode’. 4. Now you have to enter the URL you want to point the code to. The URL can be anything. It can be your website link, blog, facebookpage link or anything. 5. Click on ‘Create’ and pick an image to add to the code. 6. Your snapcode is created. You can save this image and use it later on to any of your professional or promotional document, share it with your friends, send the snapcode to other acquaintances. 7. Snapcodes, as mentioned earlier, as basically just QR codes. They come with Snapchat branding and can only be scanned within the app. You can’t scan a snapcode with a regular QR code scanner.